Since last February 27, Illinois PayToPlay (IP2P) has posted five emails sent to Robert “Bob” Cooley by Daniel T. Frawley. Here are links to the five articles that highlighted those emails: February 27; March 1; April 8; April 17; and April 19. There are more to come in the days ahead. IP2P readers know that Cooley was the star witness in a series of Chicago trials in federal court in the early 1990’s that, as part of Operation Gambat,resulted in over a score of convictions involving a sitting Federal Judge, prominent Illinois politicians, and the Chicago City Council’s 1st Ward Alderman, a member of the Chicago “outfit”. IP2P readers also know that Daniel T. Frawley was once a Chicago cop, then a business partner of Antoin “Tony” Rezko, and is now a sentenced felon who pled guilty to bank fraud. They also know that Frawley cooperated, for years, with the U.S. Attorney’s office in the investigation of Rezko and, although not called to testify against Rezko, helped put Tony behind bars. Frawley was recently sentenced for one year and one day, after multiple sentencing delays. The judge tainted his sentence by questioning Frawley’s mental stability. At IP2P we believe his sentence was as much, perhaps more, about what he knows than what he did. And, that the timing of the jail time is aimed to keep him quiet until after the November election. Meanwhile, the two big Chicago daily newspapers, the Tribune and the Sun Times, have displayed no interest in pursuing multiple story leads that have surfaced from Frawley’s emails to Cooley. IP2P asks - Why is that? The answer to Bartin’s rhetorical question is – Yes, of course. That endemic Chicago corruption continues to exist is due, in no small part, to the complicity of the city’s two major daily newspapers, be that complicity benign, malignant, or a blend. Nationally, Chicago is recognized as synonymous with corruption. IP2P asks - Where’s the shame at the Tribune and Times? In the future, IP2P will release more Frawley-Cooley emails, providing the two papers more leads to ignore. Until, perhaps, the citizens of Chicago begin to pressure their two major newspapers to take their jobs seriously. A somnolent press cannot long remain free. On April 19, 2012, Federal Judge Ronald Guzman sentenced Daniel T. Frawley to one year and one day in federal prison. So Frawley joins Rezko and Blago in the Silence Chamber of federal prison until well after the November election. He reports to jail next August 20. What Frawley knows about Rezko’s dealings with former Illinois U.S. Senator Barack Obama will be unavailable…until it’s irrelevant. He pleads guilty to a crime after the statute of limitations had expired, and agrees to pay 4.4 million dollars restitution to the bank he defrauded. He becomes a confidential informant in the case the U.S. Attorney’s office builds against Antoin “Tony” Rezko, but doesn’t testify at Rezko’s trial. He is identified as CI2 in the motion to arrest Rezko, after Nadhmi Auchi sent Rezko enough money to cover those who put up assets for Tony’s bond. This causes the feds to suspect that Tony is about to jump bail and head back to the Middle East. So they arrest Tony. Frawley is dragged through multiple postponements in his sentencing for the better part of a year, until the November ’12 election is close enough for Frawley to receive enough jail time to keep him in the Silence Chamber until the man Patrick Fitzgerald has been protecting for years is re-elected President. Implausible explanation? Not when you step back and survey the pattern of the U.S. Attorney’s catch and release program with regard to those most closely associated with Rezko and Blago. 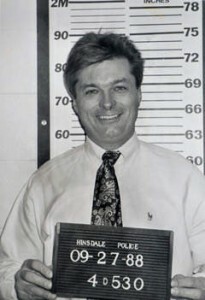 Frawley was guilty as charged for the crimes he committed years ago. He admitted that. But the way his case has been handled over those years calls into question the motives of the U.S. Attorney’s Office for the Northern District of Illinois. Has it been about fighting crime? Or, more about protecting corruption at the highest level of the land? 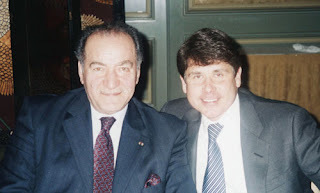 Did you know that a federal civil law suit went to the jury today, April 17, after Governor Pat Quinn’s Chief-of-Staff, Jack Lavin, testified as a witness; Tony Rezko was deposed; and Daniel T. Frawley didn’t testify because his lawyer indicated that, if called, he would “take the 5th”? Here's Jack. The case, filed April 24, 2008, in the United States District Court for the Northern District of Illinois, Eastern Division, pits Semir D. Sirazi vs. Panda Express, Inc., Panda Restaurant Group, Inc. and the Citadel Panda Express, Inc.
THOMSON PRISON IS THE FIRST SIGHT THE STATE OF ILLINOIS PROVIDED ME TO LOOK AT TO TRAIN THE IRAQI MOE CANDIDATES. SEAMUS AHERN OF SENATOR OBAMA’S JOILIET ILLINOIS OFFICE WAS AT THOMSON. NEVER CALLED THE SENATOR’S OFFICE TO ARRANGE TO BE MET. 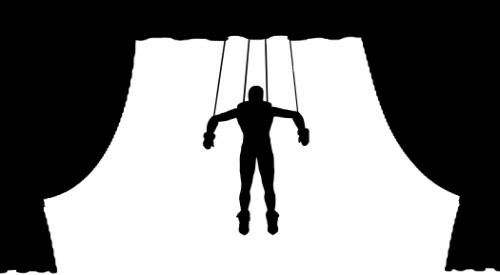 TONY REZKO CALLED JACK LAVIN REGARDING TRAINING THE IRAQI’S AT AN ILLINOIS GOVERNMENT SIGHT. JACK LAVIN WAS THE CEO OF ONE OF TONY’S COMPANIES. JACK LAVIN MADE A JOURNALENTRY IN PANDA RESTARAUNTS FINANCIAL STATEMENT. 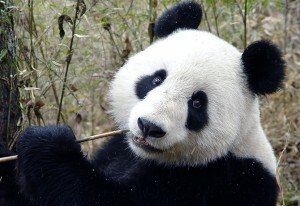 JACK TOOK 4 MILLION DOLLARS OF PANDA’S PROFITS AND MADE A JOURNAL ENTRY INTO PAPA JOHN’S PIZZA PROFITS IN ORDER FOR TO OBTAIN A 10 MILLION LOAN FROM G.E. CREDIT. ANDREW CHERNIG WAS A 50/50 PARTNER OF TONY’S IN PANDA. WHEN CHERNIG DISCOVERED THAT LAVIN AND REZKO DEFRAUDED HIM CHERNIG CAME INTO CHICAGO ON A FRIDAY AND EMPTIED THE PANDA OFFICE. TONY AND LAVIN KEPT A DOUBLE SET OF BOOKS FOR PAPA JOHN’S. TOD SELACK THE ACCOUNTANT FOR RECKON AND LAVIN PREPARED THE DOUBLE SET OF BOOKS PER AL CHAIB AND REZKO’S ORDERS. I HAVE SEEN BOTH SET OF BOOKS AND PROVIDED THE USAO’S OFFICE THE OPPORTUNITY TO COPY SAID BOOKS. THE ENTRY LAVIN MADE INTO THE PAPA JOHN BOOKS WAS KNOWN AS THE MIRACE ENTRY AROUND THE REZMAR OFFICE. CHERNIG NEVER REPORTED THE FRAUD BECAUSE CHERNIG PARTICIPATED WITH AL CHAIB AND TONY IN STAFFING PANDA RESTAURANT WITH ILLEGAL CHINESE ALIENS CHERNIG HELPED SMUGGLE INTO THE UNITED STATES. CHERNIG WORKED THE CHINESE 80-100 HOUR PER WEEKAND PAID THEM FOR 40. TONY AND CHAIB HOUSED THE CHINESE IN THEIR BUILINGS IN OVER CROWDED CONDITIONS AND OVER CHARGED THE CHINESE FOR RENT. Was Rezko deposed about the allegation that he was a slum landlord for illegal Chinese immigrant workers employed by the Pandas? Was Lavin asked about the fraudulent bookkeeping allegation from Frawley? Is this why Frawley’s attorney announced that Frawley would “take the 5th” if called to testify? Peggy Cherng testified at the trial. Did she mention the use of illegal Chinese immigrants in Panda Express restaurants, as alleged by Frawley? How about Al Chaib – was he asked about any of this? Now that they have this email, no doubt the intrepid investigative reporters at the Sun Times and the Trib will jump on this story. Hey, we can dream can’t we? Illinois PayToPlay has learned that, in addition to the Postman video recently released by Jerome Corsi on World Net Daily, Corsi also holds a 2011 recorded interview with former Rezko associate Daniel T. Frawley. The recording was made late last year in Chicago in a meeting that involved Corsi, Frawley and three other persons who gathered to discuss the possibility of writing a book. 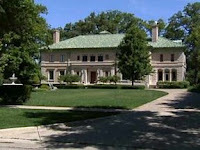 The recording reportedly includes a description of how, in 2004, during Nadhmi Auchi’s visit to Chicago, Auchi, Antoin “Tony” Rezko, and Barack Obama met in the basement “cigar room” inside Rezko’s 30-room mansion in Wilmette, Illinois where they discussed, among other things, the purchase of a 62-acres plot in the South Loop. A January 2012 lawsuit pitting a Chicago investor in the land purchase, Semir Sirazi, against Auchi was linked in a previous Illinois PayToPlay article. In response to an inquiry concerning access to the Frawley video, Corsi confirmed that Auchi’s ’04 Chicago visit was discussed but that the video would only be released with Frawley’s approval. A recent post on Illinois PayToPlay reported that Frawley claims that he gave Rezko $400,000 in cash that Rezko then gave to Obama. Frawley faces sentencing in mid-April on a bank fraud charge to which he pled guilty in February 2011. The repercussions of Tony Rezko’s business dealings with Nadhmi Auchi are now playing out in a lawsuit, filed on January 30, 2012 in the U.S. District Court, Northern District of Illinois, Eastern Division, pitting Plaintiffs Semir D. Sirazi, Greenstone Capital L.L.C. and Mardini, Inc., vs. Defendants General Mediterranean Holding, SA, Orifarm, SA, and Nadhmi Auchi. 1. This case arises out of the GMH Defendants' efforts to leapfrog the Sirazi Plaintiffs, superior creditors of Antoin S. Rezko1 ("Rezko") by secretly obtaining Rezko's ownership interests in a 62 acre parcel in Chicago's South Loop co-owned with the GMH Defendants (the "Parcel") in exchange for forgiving Rezko's debts to them and providing Rezko with access to millions of dollars in new capital. Are you wondering who Nadhmi Auchi is? Illinois PayToPlay recently posted a 2008 piece written by John A Shaw, former senior official of US Defense, State, and Commerce departments that answers that question. We’ll highlight below another article about Auchi, this one written in 2008 by Andrew Walden. It will explain why you haven’t heard much about Auchi to date. It’s because he has lawyers in Great Britain and the U.S. who, over the years, have…discouraged…writers for both the legacy media and the new media bloggers from even mentioning Auchi. That includes the Chicago Sun Times and the Chicago Tribune. That makes this lawsuit all the more interesting, since it’s a matter of public record and impossible to suppress – although it is possible to ignore, as the Chicago big dailies have been doing. “Why aren’t the American media investigating the role of British billionaire businessman Nadhmi Auchi in supplying loans to Barack Obama fundraiser Tony Rezko? Some point to media bias, but there is another factor. Working for Auchi, who was born in Iraq, attorneys from London law firm Carter-Ruck have for several months been flooding American and British newspapers and websites with letters demanding removal of material they deem “defamatory” to their client. The Obama campaign recently issued a non-denial  denial in response to claims that Obama met with Auchi―contained in Jerome Corsi’s bestseller, The Obama Nation. They cited only two references. One is, “Mr. Auchi’s lawyer” who told the February 27, 2008 London Evening Standard, “As far as he can remember he has had no direct contact with Mr. Obama.” Another is, “A lawyer for Auchi, Alasdair Pepper” who says, according to the April 16, 2008 Washington Post, “Auchi Had ‘No Recollection’ Of Meeting Obama or Michelle.” Alasdair Pepper is the attorney whose name appears  on the Carter-Ruck  demand letters . A secret $3.5 million loan  from an Auchi company to key early-money Barack Obama fundraiser Antoin Rezko was exposed while Rezko was awaiting trial on fraud and money-laundering charges earlier this year. Rezko’s bail was revoked and police showed up banging on the doors of his Wilmette Chicago mansion to drag him off to jail early in the morning of January 28th . Auchi’s loan to Rezko had come on May 23, 2005 but had not been disclosed to the Court as required in his bail agreement. Three weeks later, on June 15, 2005, Rezko’s wife assisted the Obamas in the purchase of their South Chicago mansion by purchasing a next-door undeveloped lot being sold with the house. According to the Times of London , “Mr. Rezko’s lawyer said his client had ‘longstanding indebtedness’ to Mr. Auchi’s General Mediterranean Holding (GMH). By June 2007 he owed it $27.9 million. Under a Loan Forgiveness Agreement described in court, M. Auchi lent Mr. Rezko $3.5 million in April 2005 and $11 million in September 2005, as well as $3.5 million transferred in April 2007. That agreement provided for the outstanding loans to be ‘forgiven’ in return for a stake in the 62-acre Riverside Park development. Rezko’s relationship with Barack Obama goes back to at least 1990, when Obama’s law firm did work relating to thousands of now-decaying Rezko apartment units in South Chicago. Rezko was a key early-money fundraiser in Obama’s state Senate campaigns and his failed run at the U.S. Congress. Allow me to introduce you to Nadhmi Auchi. He was charged in the 1950s with being an accomplice of Saddam Hussein, when the future tyrant was acquiring his taste for blood. He was investigated in the 1980s for his part in alleged bribes to the fabulously corrupt leaders of post-war Italy. In the 1990s, the Belgium Ambassador to Luxembourg claimed that Auchi’s bank held money Saddam and Colonel Gadaffi had stolen from their luckless peoples. In 2002, officers from the Serious Fraud Squad raided the offices of one of Auchi’s drug companies as part of an investigation of what is alleged to be the biggest swindle ever of the (British National Health Service). With allegations, albeit unproven, like these hanging over him, wouldn’t you think that British MPs would have the sense to stay away? But after threats from Carter-Ruck, Cohen’s “defamatory” article became one of six Guardian and Observer articles scrubbed from the Internet this April. 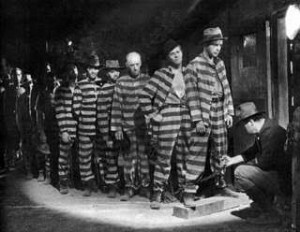 Blogger “A Jacksonian ” received a similar demand  on or before June 24. His article is still up. It details much of the information contained in the six deleted Guardian/Observer articles. The crime spree that plagued Illinois, and that was boldly brought to a stop by the sudden arrest of Governor Rod Blagojevich, is now officially over. Blago is behind bars, and Patrick Fitzgerald’s mission is complete: Blago joins Rezko in the silence chamber of federal prison where the treasure trove of what they know about Illinois corruption, past and present, has been muted. Gee, for a war against statewide crime, there sure aren’t many official casualties, except, of course, Illinois’ citizens. We’ll never know the extent of influence that the international billionaire financier in the photograph wielded over Tony, Blago, and Barack. And, as soon as the two remaining Rezko Watchers highlighted in a recent piece in the Chicago Daily Observer receive their sentences this spring – unless sentencing is postponed yet again for Daniel Frawley and Daniel Mahru – they, too, will fade into silence, joining Bernard Barton, AKA John Thomas. In the immortal words of Sonny & Cher…the beat goes on.